If it’s properly cared for, your air conditioner could potentially last you over a decade. Here are Andersen Heating & Cooling’s top three tips to extend your air conditioner’s lifespan in Charlotte, NC. No matter what other steps you take to keep your A/C unit running efficiently, if you don’t change the air filter regularly, it won’t last as long as you might hope. Healthy airflow through the HVAC system is critical to ensuring your air conditioner doesn’t experience constant wear and tear. Install a fresh air filter on the first of each month to extend your air conditioner’s lifespan. One of the most important things you can do to prolong the life of your air conditioner is to have a preventative HVAC maintenance plan. 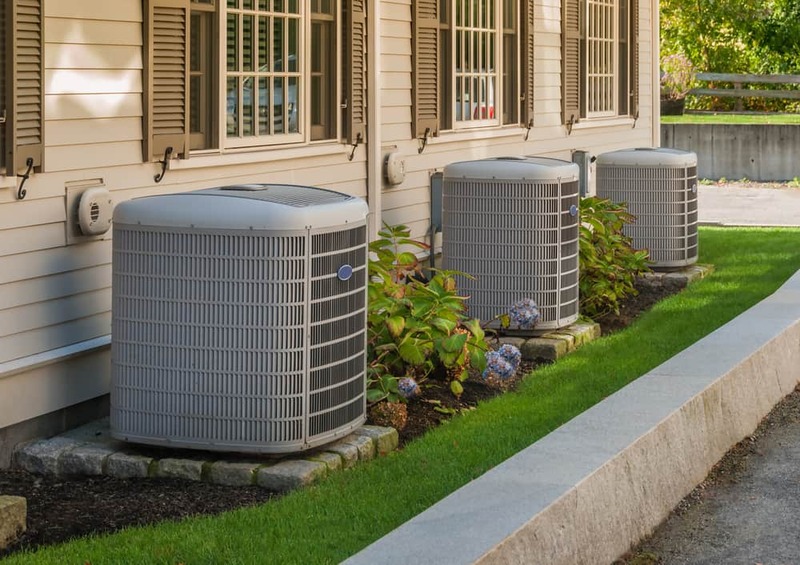 Regular maintenance is essential to keeping the A/C unit running efficiently and preventing serious damage from taking its toll on your equipment. Call or click today to learn more about the Preferred Maintenance Agreement from Andersen Heating & Cooling! The outdoor A/C unit is likely to take a beating from the elements over the years. Fortunately, air conditioners are built to withstand most forms of precipitation. However, branches, nuts, twigs and debris can all cause damage to the unit over time. Clear a three foot space around the base of the unit to prevent shrubs and grass from obstructing the coil. In addition, make sure all overhanging tree branches are trimmed back so they don’t fall on top of the air conditioner. The average air conditioner lasts about 10 to 12 years before it needs to be replaced. If your air conditioner is older than 12 years, it’s probably time to start looking for a new unit. New units are more efficient and effective at cooling your home. Also, current models run on R-410A refrigerant, as opposed to R-22, the once popular refrigerant that was banned from production. This makes R-22 prices volatile, whereas R-410A is more efficient and cost-effective. Call or click to schedule your air conditioner replacement with Andersen Heating & Cooling today!